Frank Harding was born in Werrimull in Victoria in 1935 and educated in Eaglehawk and Redesdale. After leaving school in 1949 he worked with a shearing team for some years before joining the South Australian Police Force where he served as a uniform officer and later a detective with the CIB. Frank resigned from the Police Force in 1975 after 19 years of service, in Adelaide, Renmark, Leigh Creek, Oodnadatta, Port Augusta, Maree and Whyalla. 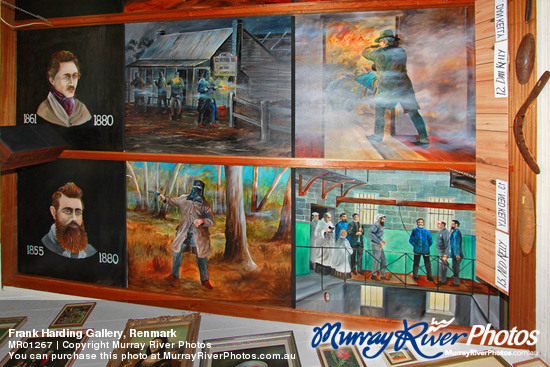 After he resigned from the Police Force, Frank commenced a career as an artist, building a studio and gallery in Renmark. He held numerous one-man exhibitions throughout Australia and also exhibited in England and the USA. Painting in Oil, Egg Tempra, Watercolour and Pen & Ink. Frank had a great interest in history, and particularly Australian history. As a result of his research and paintings on the Colonial bush-ranging period he was made a Fellow of the Australian Institute of History and Art (1986). 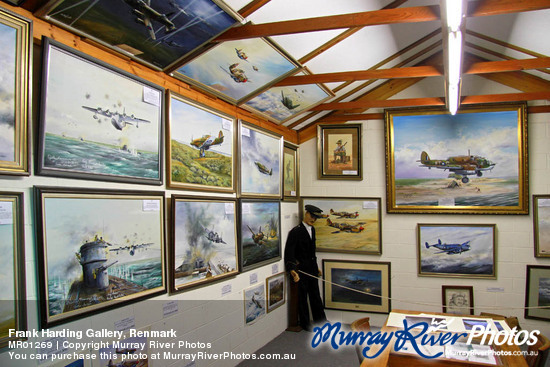 In 1989 he won the Royal Australian Airforce Heritage Award, with a painting titled "Creswells Kill". 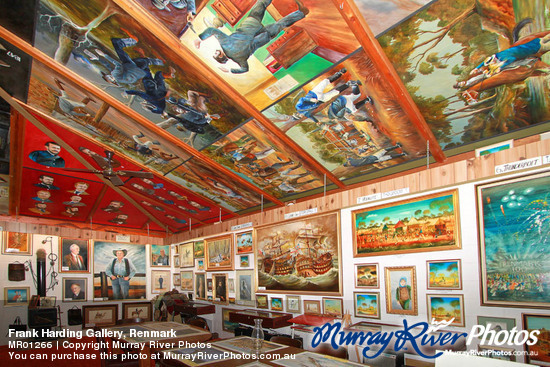 Frank's art and an extensive collection of Australian memorabilia are displayed in his Gallery at Renmark. The gallery is in 2 sections. 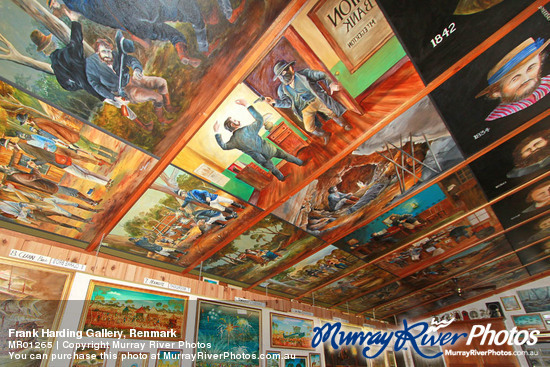 Gallery 1 has a 3,000 square metre ceiling mural of bushrangers and their exploits; many paintings showing the diversity of Frank's ability and a large collection of Australian memorabilia. Gallery 2 houses the unique "They Flew for the King" collection of aircraft paintings. 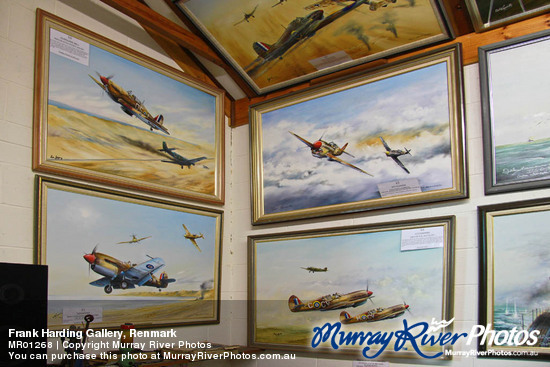 Each painting depicts an actual event and has ben authenticated and signed by the Pilots. He had a great respect and admiration for all humanity.